Well it is that time of year the festive music is out and the Physical Geography exam is looming int he New Year! So here with a few words of wisdom. A set of good notes for all topics is critical to successful revision. So in the case of the Physical Geography Unit what constitutes a good set of notes? Well you will need more than just the annotated PowerPoint slides out the slide bank. Some questions will need you to develop ideas beyond the pure content of the lectures; that is to have done some reading around the subject. Look at one of the recommended textbooks and extract some additional examples, facts and illustrations. For example, if you are writing about mass movements then you want a few choice examples with some basic information – when, where, how big, what sort of mass movement. It will be even better if you can include information from a relevant scientific paper; see the hyper links int he slide banks. You don’t need to remember complete citations and references in an exam. Your notes should also include good diagrams. A good exam answer should demonstrate your understanding of the basic ideas/theory illustrated by good and relevant examples and/or additional information/facts. If you can include relevant information that will make the ‘marking-weary examiner’ sit-up and take note then do so. Always try to demonstrate where you can your reading and research around a topic. In order to work out what the key concept(s) for each week was/were you need to step-back from your notes and think about the broader issues. For example, in week one we looked at plate tectonics – the key issue or piece of theory was how plate tectonics has a controlled the earth’s long-term climate and not the detail of plate tectonics. In the week about slopes the key concept was the factor of safety and how it could be used to examine the causes of slope failure. Try and pick out what the key concept(s) (or body of theory) was each week and make sure you understand this and can illustrate it. Exams require you to regurgitate and demonstrate your knowledge so you need specific knowledge stored away and the only way to get that knowledge is to undertake regular revision over a sustained period of weeks. Cramming knowledge the day before an exam is nowhere near as effective as regular weekly revision sessions over a matter of weeks. Revision is highly personal but simply reading ones notes is rarely enough; assuming you have good notes(!). You need to work out what works for you and be an active not passive reviser. For example, when I was an undergraduate I used to use a combination of three things to revise: (1) I used to sit in my room and lecture myself out loud on the material, because my oral memory is better than my memory for things that I read; (2) I used to practice sketching out key diagrams and figures quickly and roughly on scraps of paper many times until I could reproduce them from memory; and (3) I used to practice questions both against the clock and by writing outlines. These are the things that worked for me; you need to work out what works for you and if you don’t know then experiment and innovate until you find a way that works well for you. However you revise, revision is essential to success and there is no substitute. A calm systematic approach to the examination is critical. Arrive at the exam rested, confident and avoid being wound-up and stressed by your peers. All exams are a bit different so know what to expect in this case by looking at the past papers available via Library website and the revision comics which you will find on Brightspace! Answer the questions provided and if there is more than one part make sure you spend equal time on each part. The hardest part for an examiner is to give zero for a beautiful answer that is not relevant to the question and that is what examiners have to do. So don’t just write what you have revised if it is irrelevant to the question in the hope that demonstrating some knowledge is better than showing no knowledge. Only include relevant material. Even if you do a superb answer for part of a question you won’t be able to get over 50% in a two part question with equal weighting so make sure you write something relevant down for each part and spend equal time on each part. Answer in whole sentences, you don’t need to worry too much about essay structure at this level but don’t give way to the temptation to simply dump information in bullets and lists – it is an essay not a set of notes that you are being asked for. You need to expand and explain the points you are making clearly and in full to get the credit; demonstrating your understanding is key. Make sure that you include relevant diagrams and illustrations if you can; they don’t need to be neatly drawn as long as they are legible to the examiner. Explain concepts well and clearly, don’t just litter your answer with jargon; demonstrate your understanding by what you write. Include specific examples and illustrations wherever you can; facts and figure are much better than waffle. Try not to repeat yourself; say something well once, and effectively. Make sure you spend equal time on each of the three questions. One good answer and two poor ones will give you a worse mark than three mediocre ones. Above all else don’t panic, remain calm and let your pen do the talking! In the current academic year I have a team of ten forensic undergraduates working on their dissertations with me. They are exploring different aspects of footwear evidence from taphonomic studies through wear of branded shoes and real time experiments using instrumented shoes. The team is contributing to the research of one my Doctoral students and to my own work in this area. Co-creating knowledge is fun. It is great to have a team and we meet each week to monitor progress and to provide feedback and support. For a geographer it is perhaps surprising, however, that I don’t have any geography projects this year. I am keen to correct this and to use the same team-based approach I am using this year. So in the spirit of building a group of students working on related projects I thought I might throw out a few ideas. They are all linked by their use of digital elevation models whether derived from satellite data or created by near-surface photogrammetry. If any of these interests you then get in touch! Moraine volumes in Snowdonia. The Younger Dryas was associated with a number of small cirque glaciers in Snowdonia as evidenced by a range of moraine fields. The moraine fields vary in volume and form. This project will use high resolution DEM’s to estimate moraine volumes and explore/explain this variation in relation to data on the dynamics of these former glaciers and geological data. Hillslope and climate: homage to Troy (1977). In a seminal paper in 1977 Terrance Troy established a model of slope form and its relationship to climate. It was a beautifully designed project, at least in my view, but is now a bit dated. The aim of this project is to replicate this work using modern DEM’s to explore Troy’s original conclusions. Scratch Dials: Before the advent of train timetables local time used to vary across small county areas and clocks were not ubiquitous. Scratch Dials were carved into the sides of churches and a stick placed in the centre to tell the time in a similar fashion to a sun dial but vertical not horizontal. Clergy would mark on the times of service. Scratch Dials can be found in Dorset and elsewhere in the country. The aim of this project is to capture these dials via photogrammetry and explore local time zones. Volcanic morphology in the East African Rift. Sections of the East Africa Rift Valley floor contain numerous small monogenetic volcanoes. The aims of this project are to explore their morphology, spatial arrangement (faults?) and age using high resolution DEMs. Volcanic morphology of sector collapses. I have previously worked on volcanic debris avalanches and would like to extend this work through morphological description of examples around the world looking for common morphological traits using DEM’s. Debris avalanches are significant volcanic hazards in some regions. Near-surface photogrammetry in geomorphological monitoring. Structure from motion is a type of photogrammetry in which DEM’s are created from a selection of oblique photographs and is something we have expertise in at Bournemouth. I am interested in exploring its application to a range of environmental monitoring projects from footpath erosion, cliff recession/weathering and beach morphology. This may involve the use of drones. Fossil footprints at White Sands National Monument. I have ongoing research at White Sands National Monument (New Mexico) into terminal Pleistocene footprints both human and megafauna (mammoth, camel and sloth). For those interested and with the resources to do an overseas project this is a fantastic opportunity to gain field experience and first-hand knowledge of conservation with the National Park Service in the US. Inventory of Dinosaur Footprints in the UK. Again for students willing and able to travel this time around the UK we are in the process of digitising in 3D dinosaur footprint sites around the UK in order to develop a digital resource. There are a number of student projects possible around this theme. In addition we will be offering a range of forensic projects next year all based around the use of photogrammetry in footwear, document forgery, and suspect height profiling from CCTV footage. Drop me a line if any of these interest and I will add to this list as ideas come to mind. So to re-cap you have to take Pangea Ultima (+250 Ma) and from first principles work out what the climate zones, ocean currents and perhaps vegetation were like. The exercise is about working from first principles (Topic Two) what the climate of this future Earth would look like. So working from the Earth’s heat engine where should the heat deficit and surplus be? Apply the current model of atmospheric circulation taking care to think about relief and land-sea temperature contrasts. Just like the conceptual content in the linked blog post, try to sketch out the main climate zones on the future super continent. Are there places on the future continent that will have similar climatic conditions to locations today? If so you might like to find some weather data on line and add this to your map or description. Now think about ocean currents. Where would be the subtropical gyres be located? Where would you have areas of up-welling and down-welling? Think about areas of deep water production and up-welling; would there have been a thermohaline circulation? What would the inland seas have been like? The biggest challenge is to think about the impact of monsoons. In the past Pangea experienced mega-monsoons. You might finds some literature to guide you here – try some simple Google Scholar Searches on ‘Pangea and Mega-monsoons’. I suspect that Pangea Ultima will be a supercontinent of extremes, what do you think? The best way to explore the above is to print out a few of the outline maps provided on Brightspace and annotate them with pencils or crayons sketching out what you think it may be like. Keep a simple decision log for each conclusion; why have you drawn the climate zone as you have, what the alternative options? The decision log will help you justify your conclusions when you come to write it up. When you have one or more maps with your predictions sketched out it is time to turn to one of the two suggested drawing packages – Illustrator or Inkscape – and draw up a neat or ‘fair copy’ version for inclusion in your report. There are a couple of videos on Brightspace to get you started. If you have too much information on one map it might be wise to produce more than one. Add labels and annotations before exporting as an image file such as a jpeg. Figure 1: The main climate zones for Pangea Ultima (+250 Ma), with the principle ocean currents indicated. In Figure 1 I have indicated the main climate zones for Pangea Ultima, not the zonal pattern from the equator to the poles. The main climate zones predicted for Pangea Ultima (Fig. 1) show a simple zonal pattern. Note the use of the capital letter for Figure 1 where it occurs outside parentheses. Here are some links to guidance on writing figure captions: One, Two, and Three . Section Six: Reference list. Only list out references you have cited and if you have cited none then there will be no section 6! Follow the BU style guide. Once you have completed a draft bring it to one of the drop-in sessions to get some formative feedback. It has been said that those who see and tackle the big questions are those outside the core discipline. Take Alfred Wegener for example, of continental drift fame, he was a meteorologist by trade yet his contribution to geology (perhaps not in his life time) was far greater. If you live firmly within the paradigms and norms of a discipline it is hard to think heretical thoughts and to question fundamental principles. This is one argument for the power of multidisciplinary research and education. I got my PhD in Edinburgh way back in 1991 working with Geoffrey Boulton and David Sugden two of the leading glacial geomorphologists of their generation. A PhD is an academic calling card and a big deal at the time, but I have never really used the title and I am still Mister Mister Bennett according the bank. I like what my PhD stands for however, Doctor of Philosophy, and in my case natural philosophy. Natural philosophy is rather a dated term but is one that is powerful in an age where cross-disciplinary science holds many of the answers. It derives from the Latin philosophia naturalis and is the study of nature and the physical universe. It is considered to be the precursor of natural science and has its origins with Aristotle. It has been superseded by the modern concept of ‘science’ with its multiple often isolating pigeonholes such as ecology, biology, chemistry, physics, geology, geography, archaeology and so on. Yet our world is holistic in which earth systems are linked across many disciplines. To understand these systems one needs to take a holistic multidisciplinary view, just as Alfred Wegener did. So I like the idea of being a natural philosopher because it stresses the value of inter-disciplinary study essential to understanding a holistic system. My first degree is in Physical Geography (London, 1988) and I come from a line of geographers, but in truth I have worked across many disciplines in the last 26 years. Students like to identify with a subject: we are Geographers why do we need to do chemistry or all this geology nonsense? The truth is that to understand the natural workings of our physical environment, past, present and future we need a broad grounding in multidisciplinary science and to have the tools to communicate with other specialists. So being a geographer is something to be proud off, but let’s not confine ourselves to just one pigeon hole! Help this research by taking this anonymous quiz. Non-linear narratives are fun, because the audience and presenter don’t know where you will end up, or if they do they don’t know by what route (Fig.1). I used to read to my children stories that required them to make a choice of story direction and we would weave our way through a book flipping between pages as directed. A good story tellers sitting around a camp fire never tells a story the same way twice and are always a pleasure to listen to even if you know the stories punchline. Long live the art of storytelling. Just because we are scientists doesn’t mean we don’t tell stories; off course we do ‘evidence-based’ stories mind, but they are still stories. Figure 1: A good storyteller can end up in the same place but will get there in a different way each time. Microsoft PowerPoint and similar presentation tools forces linearity and once you post a set of slides students or your listeners expect you to follow that structure and to cover all the material. PowerPoint sets a way of thinking which is not always very helpful. In my experience it hinders lateral thinking and positive digression. I am not the first person to think this and there is a body of work critical of PowerPoint and also defending it. My first serious foray into ‘non-linearity’ came in 2017 when the research team, of which I am part, was awarded the chance to present at the Royal Society Summer Exhibition. This is the premier research engagement session in the UK, with a footfall of over 11,000 ranging from dignitaries attending black tie evening sessions, to the general public and to school groups during the day. We designed an educational experience around our theme ‘Dinosaurs to Forensics’. I had last exhibited in 2005. On that stand we had a large plasma screen with a linear PowerPoint running on a loop. It was limiting when talking to a visitor, since you would often have to wait for the right slide to appear to prompt a conversation. In 2017 we needed a teaching innovation that was non-linear. The solution we came up with was a series of large icons on the display board each with a bar-code. The presenter had a wireless bar-code reader with which they could zap an icon and an appropriate item or video clip would appear on the plasma screen. In this way the presenters were able to use the icons to support different conversations or educational messages tailored to the needs of different visitors. It was huge success. Now I have an interest in the visual presentation of data and I was hooked on the idea of creating an alternative to PowerPoint that was non-linear, essentially bringing the Royal Society exhibit learning into the classroom. The concept I had was like an image board similar to something you might see on Pin Interest. That would be the hub of your lecture. Behind each picture would be a link to YouTube, to a block of slides or to some other resource. Essentially it would be like a window into a bank of slides or resources that you could call upon in any order; in a non-linear order. You would not necessarily use all the slides just those that you needed on that day. I talked at length to my collaborator in Computer Science (Professor Marcin Budka): could we create a rival to PowerPoint? Well one day with funding we might just do that – freeware for the non-linear narratives. However we quickly released that we could create a PowerPoint template that would actually work in a non-linear fashion. Essentially the home slide is a grid of boxes (a bit like the grid of icon boxes you get in Windows 10), different sizes, shapes and colours. By clicking on a box you get a slide or slides that relate to that box including any embedded media. There is a large back arrow on the slide(s) that takes you back to the home screen. Basically there is no forced linear narrative. Feeling brave and keen to co-create some educational research with my students I am trying this out on my Physical Geography students in the autumn of 2018. Wish me and them luck! I am interested in your thoughts on presentation software and if you would like to contribute anonymously then you can do by taking the following quiz. Author professorsandcastlePosted on September 21, 2018 September 21, 2018 Categories Skills Studio, Tilman's ArchiveLeave a comment on Non-Linear narratives Or Why PowerPoint is bad! Regional physical geography is a bit dated these days with a greater emphasis being placed on processes and principles. In the past however regional geography was a big deal and to be able describe the climate, vegetation and soils of the world region-by-region was an end in itself. To assist with this task a range of climate classification systems were developed. The Köppen classification is probably the most widely recognised. Wladimir Köppen (1846-1940) developed the scheme in 1884 making several modifications the last of which was in 1936. It is sometimes known as the Köppen–Geiger climate classification due to later modifications made by Rudolf Geiger in 1954 and 1961). It is a zonal scheme, warm and wet in the equator moving outwards through the dry and arid subtropics to the temperate mid-latitudes and the polar deserts beyond. It reflects global atmospheric circulation and the heat engine modified by land-ocean distribution. 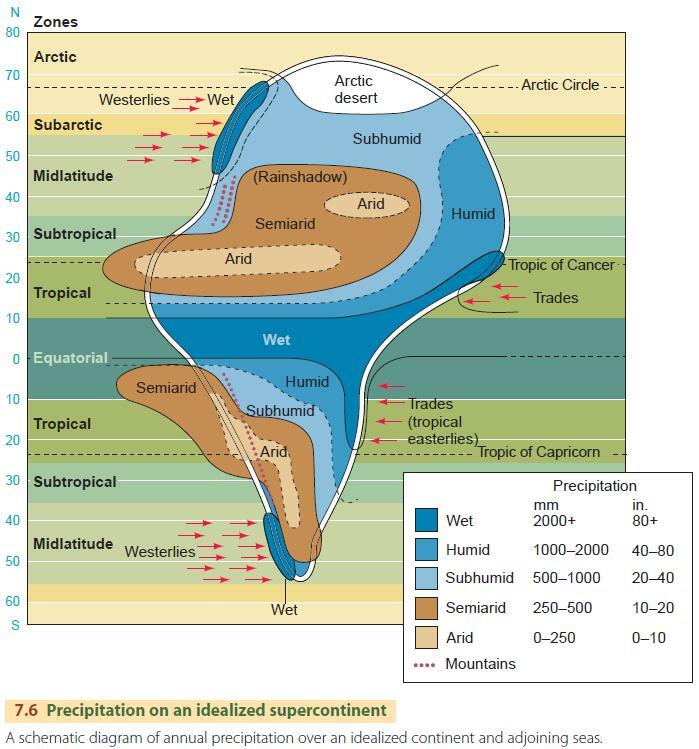 Figure 1: Koppen Climate Classification. Source details and key to classes can be found here. Looking beyond the classification to the underlying principles is at least in my view more useful especially if we are to understand the climate of past or future continents and/or Worlds. A hypothetical continent is often used to convey these principles, like the one in Figure 2. You can find a similar more sophisticated version on the web here. Figure 2: Climate Zones for a hypothetical continent straddling the equator. So crudely speaking this has warm wet climates close to the Equator, dry ones in the subtropics and temperate ones in the mid-latitudes. It follows the zonal pattern we would expect given that there is an excess of heat in the equator a deficit in the poles. The warm-wet Equatorial region reflects the location of the Inter-tropical Convergence Zone. This will move north and south as the overhead sun varies between the solstices. The humid equatorial regions extends both north and south to a greater degree on the eastern side of the continent due to the influence of the trade winds which bring moist air on to land. There may also be strong monsoonal influences in these locations. The subtropical zone is associated with warm descending air linked to the returning surface winds which completes the Hadley Cell . The arid and semi-arid regions on the western side of the hypothetical continent are the manifestation of this. Note that they extend further north into the centre of the continent in the Northern Hemisphere. This is due to a ‘continental-effect’ given their distance from the ocean. Land heats up and cools rapidly giving temperature extremes and there is little moisture due to the distance inland. In the Southern Hemisphere this arid zone is modified by the presence of a chain of mountains. Note it extends further south on their lee-side due a rain shadow effect. Equally this arid zone also extends further north toward the equator along the coast due to the presence of off shore winds. In South America today the movement of the trade winds and associated ocean currents is offshore which causes coastal up-welling of cold ocean waters and also ensures that any moisture moves off-shore rather than on-shore. The Atacama Desert is the result. It is worth noting that this pattern is influence by the El Nino and there is no reason to suggest something similar would not be active on our hypothetical continent. The mid-latitudes show a contrast west to east due to the influence of the westerlies. The western seaboard of our continent is wet and mild with a strong maritime influence. In contrast the eastern seaboard is drier and subject to greater continental extremes. By finding current cities/regions that match those on the hypothetical continent you could augment the picture further with climate data. Figure 3 is a crude sketch of what the vegetation zones might look like. Figure 3: Hand drawn sketch of what the vegetation zones associated with Figure 2 might look like. Forgive my handwriting! Ocean currents could be added to this hypothetical world and you could speculate on what if any thermohaline circulation might exist. Think about the salinity balance. Cold, saline water is dense and will sink, warm fresh water will not. 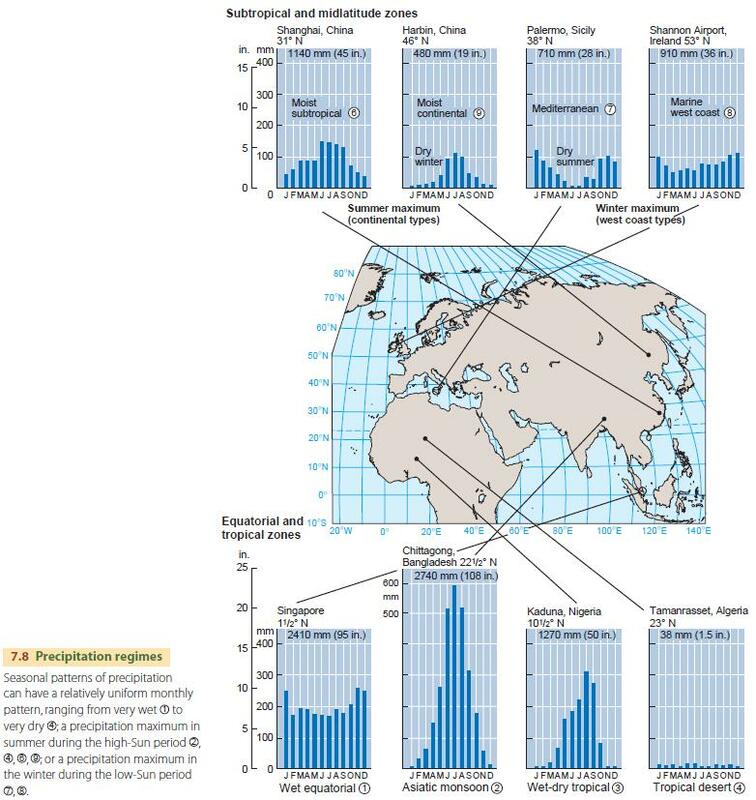 Where are the regions of greatest evaporation, where in the freshwater runoff likely to be most marked? You can use these principles as we have above for the hypothetical continent and apply them to Pangea, or in the case of your course work (Physical Geography 2018/19) to Pangea Ultima (Fig. 4). Figure 4: An image of Panage Ultima based on the work of Scotese and the one you have been provided with for your Physical Geography Coursework in 2018/19. Author professorsandcastlePosted on September 19, 2018 September 19, 2018 Categories Tilman's ArchiveLeave a comment on Climate zones, palaeo-climate and your 2018/19 coursework! Do you owe your existence to a supernova? It is perhaps rather far-fetched but for some scientists not too big a leap. To follow this story we need to step back and question our understanding of climate change. The consensus model is based on the volume of global carbon dioxide; it was drawn down in the Cenozoic priming Earth Systems such that orbital radiation variations could modulate our climate through mechanism such as the thermohaline circulation. The link between orbital radiation and the climate pulse beat during the Quaternary has been well established by deep sea sediment and ice cores. But not everyone agrees with this, after all science is about disagreement and challenge so let take a look. A Wilson Chamber is a sealed vessel supersaturated with water or alcohol. The passage of atomic particles and cosmic rays is recorded by a trail of water droplets. It represents one of the earliest ways of seeing atomic and perhaps subatomic particles (Fig. 1). It also shows how these particles can cause condensation, essential for cloud formation. Figure 1: Wilson Cloud chamber. This piece of old fashioned scientific kit has led some people to suggest that there is link between cloud formation and cosmic rays (Fig. 2). Figure 2: Cosmic rays and cloud formation. (Source: Svensmark and Calder, 2007). Cosmic rays consist of a range of atomic and subatomic particles with varying energy fluxes. Gamma ray bursts are common products from starburst when giant stars die (supernova) and new stars are born. The link to cloud formation is not entirely clear but there may well be a link of sorts. Changing the percentage of cloud cover changes the atmospheric albedo (reflectivity) and atmospheric absorption both of which may impact on the surface energy balance. Cosmic rays entering our atmosphere all the time, if they collide with an atom they can produce a secondary ray in the form of a neutron. If this collides with a nitrogen-14 atom for example the neutron displaces a proton to give the carbon isotope Carbon-14. Carbon-14 is the stuff we use for carbon dating and the proportion in the atmosphere and therefore in living matter is known to vary through time. In fact it varies with the frequency of cosmic rays; more cosmic rays more C-14. Now cosmic rays are quite bad but we are protected by the Sun’s magnetic field; the weaker the field the greater the C-14 production. This also implies the weaker the field the greater the potential for cloud formation via cosmic rays assuming this link exists. Sunspots come and go on the surface of the Sun with an 11 year cycle (Fig. 3), but the magnitude of this activity varies over longer time scales. It just so happens that one weak period of sunspot activity corresponds to the Little Ice Age (Fig. 4). This coincidence has been known for a while but the mechanism has been unclear until Svensmark (2007) put forward the link between clouds and cosmic rays. Figure 4: Sunspot activity through time. Note the Maunder minimum which corresponds to the Little Ice Age. The River Thames doesn’t freeze these days, but it did in the past. Bishops were sent for in Alpine villages to exercise demons and evil spirits from advancing glaciers. The European wine harvest failed. Between about 1650 and 1750 AD things were tough. This period with its wealth of documentary evidence is known as the Little Ice Age (Fig. 5). Whether it was a European focused event or more global is still a matter of some debate and may in part reflect the availability of the European historical record. But cold it got. The cause of this cold event is unknown, some have linked it to a slowdown in the thermohaline conveyor, but the evidence is unclear. Could this event be the result of the sunspot minima? More clouds would increase atmospheric albedo, meaning that less solar radiation would make it through the atmosphere to warm surface. Figure 5: Little Ice Age in context. In theory this should be a testable hypothesis. We have records for cosmic rays going back several years and also satellite records of cloud cover. While this would not prove the cause of the Little Ice Age it would give veracity to the mechanism. Figure 5 shows a correlation between cloud cover and a single solar cycle. The correlation with high altitude cloud cover is poor which is surprising since it is high altitude clouds that are most important in controlling the albedo of the atmosphere, but with low altitude clouds it is strong. The thing about science is that it has to be repeatable. The onus is on the authors of a paper to make sure their data sources and methods are clear, so that in theory they can be repeated. Well many people have tried to repeat the analysis of Svensmark and colleagues using the same and different data and the relationships have not always been replicated (e.g., Sun and Bradley, 2002). For example, Kulmala et al. (2010) could find no evidence of a relationship between the creation of new particles in the atmosphere and cosmic ray activity. In parallel, theoretical work much of which has been done at CERN (European Organization for Nuclear Research, physicists and engineers) has led to a better understanding of the physics (Kirby, 2007; Kirby et al., 2011). These researchers have greater belief in the potential link, but the test of a hypothesis like this must be against known historical records. Interestingly, Tsonis et al. (2015) found no link between global temperature during the 20th Century and cosmic rays, but did find a significant link, although modest, between cosmic rays and short-term, year-to-year variability in GT. The verdict about the link between cosmic rays and cloud remains one of debate and largely unproven. There is a divergence between the physics that can be shown in the laboratory and the actual record. While the consensus is perhaps moving away from cosmic rays it should not be dismissed until proven false. The association between the Maunder Minima and the Little Ice Age is compelling, but is it a case of coincidence or causality? Despite the fact that the link between cosmic rays and climate has yet to be proven some researchers continue to build on the hypothesis. In particular they point to a potential link between cosmic rays and the origin of complex life on Earth. This is perhaps even more tenuous, but it is important that scientist keep an open mind about ideas – you never known when the next paradigm shift is going to happen! The Cambrian Explosion was a massive evolutionary radiation. For much of Earth history there has been little in the way of life apart from bacteria and algae. Slime ball Earth would have been quite an apt description. This very long period in earth history – 3 billion or so years – was vital in transforming the Earth atmosphere, reducing the carbon dioxide content and replacing it with oxygen. This terra forming period created the right circumstances for the evolution of complex life. This really kicked off around 520 million with the Cambrian Explosion. The causes this radical evolutionary event have been debated, the presence of extensive and flooded continental shelves following the break-up of Rodina may have been important and the availability of Oxygen. It also may be a function of preservation in that the innovation was the development of ‘hard parts’ made of calcium carbonate that could be preserved. Complex multi-cellular life first appeared in the Neoproterozoic with animals known as the Edicarian fauna. The association with Snowball Earth has attracted many geologists attention despite the fact that timings don’t quite work. The Neoproterozoic snowball episodes are constrained to 770 to 635 Ma, approximately 100 Ma years before the Cambrian Explosion (520-488 Ma) when metazoan fauna hugely diversified. By working back via the molecular clock embedded within DNA we can get an approximate date for the origins of ancestral metazoans; that is when the genome was last re-organised into its current form. The data for this event is around 900 Ma. Reconciling these events is difficult because the record is so poor and different elements are often in conflict; in this case the molecular clock and the fossil record. Figure 8 shows a rather speculative model that links the Cambrian explosion to cosmic rays (Maruyama and Santosh, 2008). The scenario goes something like this. Starbursts between 900 and 600 Ma lead to extensive cosmic radiation within our solar system. This may have led to cloud formation triggering snowball Earth so the argument goes. As Rodina rifted it created seaways with nutrient enriched waters and wide shallow continental shelves idea for the diversification of life. Saturation by cosmic radiation caused the mutation of DNA and the creation of more complex life including sexual reproduction. At around 500 Ma oxygen levels had got to a sufficient level for the life to explode in diversity. It is important to recognise that is a speculative story – perhaps geological poetry would be a better term – but stories can help scientist to frame question for more rigorous analysis. It does mean that these stories are correct or will be proven correct in time. It is however an interesting hypothesis, even if one excludes the climate link. We know that the founding DNA modern life dates from around 900 Ma; what caused that mutation and re-organisation of the genome? Extra-terrestrial radiation is as good a working hypothesis as any other at this point. So yes you may owe your existence to the explosion of a distance star. Figure 8: Speculative model linking cosmic rays to the origin of complex life and the Cambrian Explosion. (Sources Maruyama and Santosh, 2008). Science is about ideas, advancing them, putting forward tests with which to examine them and allowing peer debate. Many ideas are advanced that ultimately are discarded. The link between climate and cosmic rays is increasingly being marginalised, that is not to say however it should not be debated, taught and discussed. Author professorsandcastlePosted on September 19, 2018 Categories Tilman's ArchiveLeave a comment on Chilling stars and the origin of complex life?